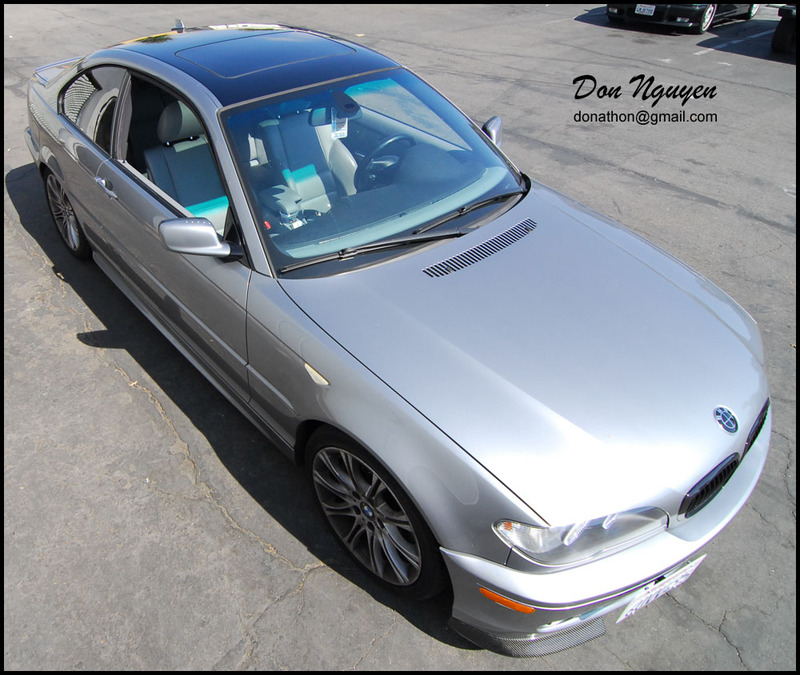 Had the owner of this gray / silver E46 330i coupe come by to have me vinyl wrap the roof of their car. 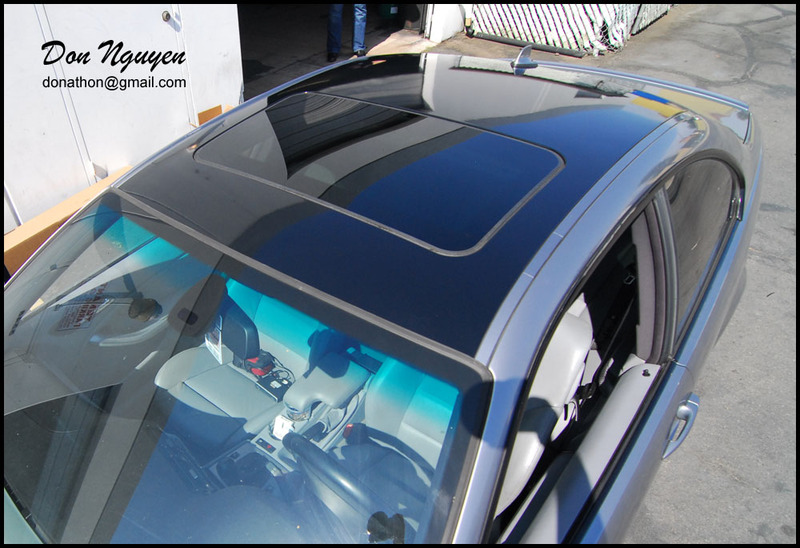 The owner opted to have me do only the center roof section and not the roof rails. I was able to wrap around the antenna without any issues, just like any of the other cars that also have antennas that I have done. 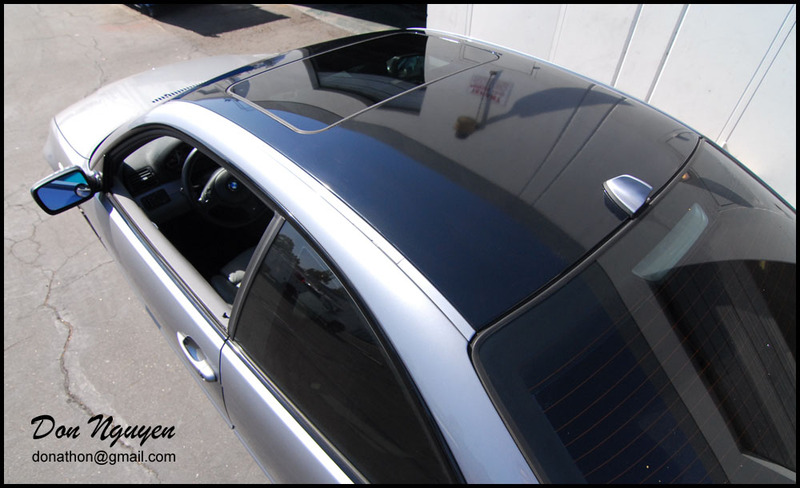 For this car, we went with my gloss black vinyl material. The gloss black gives it a nice clean factory look. The owner of this car drove out to me in Orange County / Anaheim Hills to have the work done.